There are two ways to create a New Page. You can either do this from your Website Tree on the left or select an existing page which will prompt an Add New menu to appear on the right. 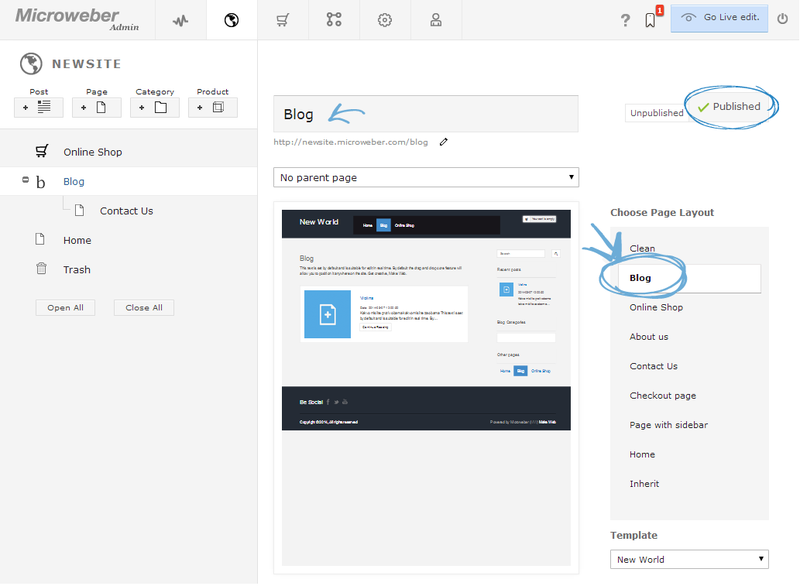 From here you can choose to create a New Page, Category, Post or Product. - Choose its Page layout. There are several different page layouts as seen from the image below, including a Contact Page layout, an About Us page layout and others. You can customize the overall look of your New Page in Live edit where you can edit your content on your website. When created, a New Page will either appear on the Menu bar if it has no parent page, or beneath an existing parent page. 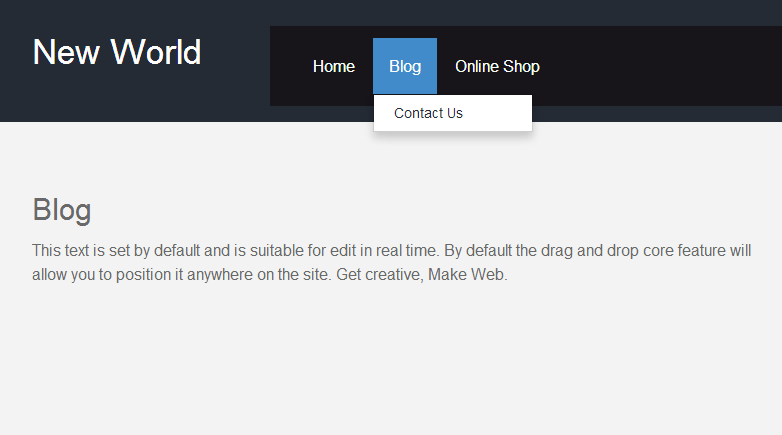 For example: Creating a Contact Us page with the Blog page as a parent will add it to a drop down menu that will open when moving the cursor over the Blog page. Back in the Admin Panel, your Website Tree will be updated with an expendable Blog page that now contains a Contact Us sub-page. You can also check out our related tutorial on setting up an online shop and adding products to it.